Cooler Master has revived its venerable HAF series of cases with the new MasterCase H500P. 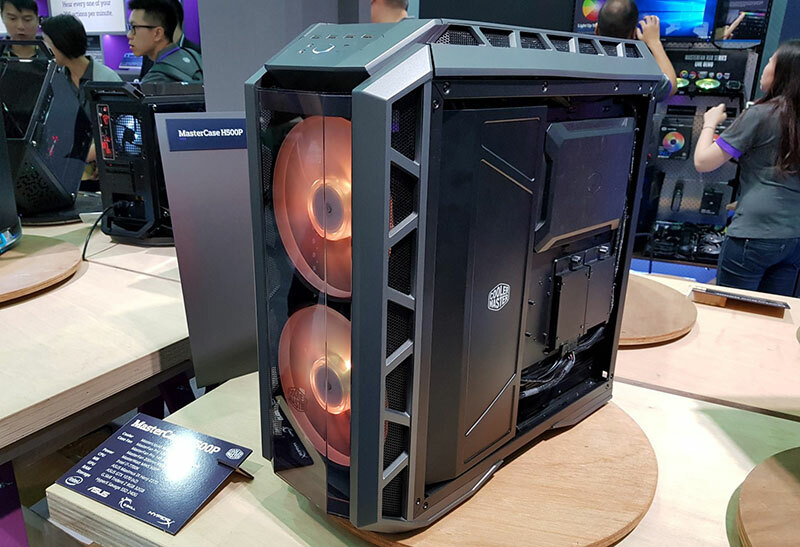 It's been a while since Cooler Master released a new HAF case, so the H500P also appears to be a rebranding of sorts. HAF cases often feature extensive mesh designs for high air flow (which is how it gets its name), and the MasterCase H500P was designed around similar precepts. However, like the Cosmos C700P, the case boasts a sleeker and more stylish look, complete with tempered glass side panels and RGB lighting. However, true to its HAF roots, it still comes with two 200mm RGB intake fans on the front, and the front panel is raised and has large openings at the side for better air flow. The RGB lighting on the fans has been certified to work with ASUS, MSI, and Gigabyte motherboards, so you’ll be able to use their respective software utilities to control it. It also comes with a two-part PSU shroud to cover the worst of your cable management woes and keep things looking neat through the clear side panel. One nice addition is the extra covers that fit onto the front and the back of the motherboard (over the routing holes and CPU cutout for instance) for an even cleaner look. Another interesting feature is the support for vertical mounting of your GPU, should you want to show it off more prominently. And even though the case was designed with improved airflow in mind, there’s support for 360mm radiators on the top and front. 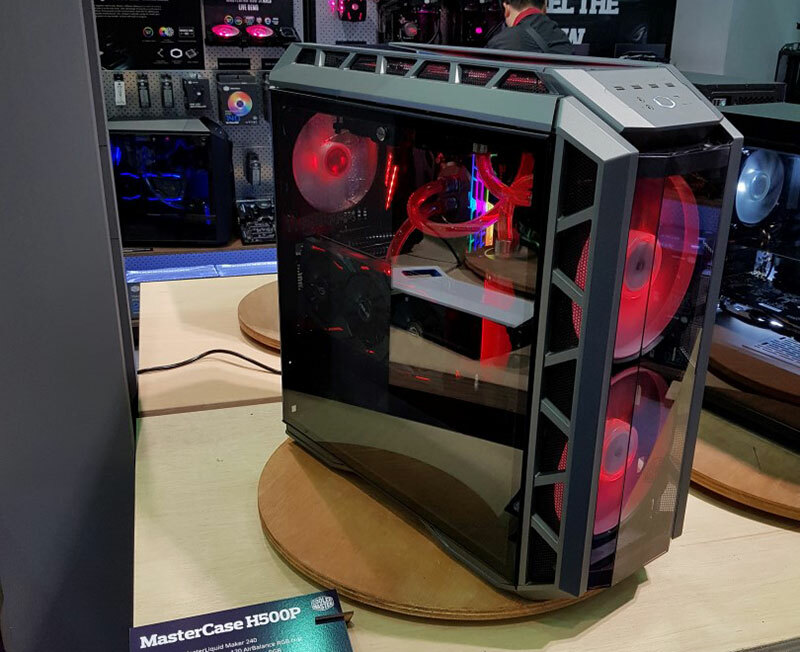 Cooler Master also introduced its new MasterBox Q-series case, a quirky cube-shaped chassis that has modular features. It can be twisted, flipped, or rotated into multiple positions and angles, and the I/O panel can even be relocated to six different positions. There are different versions of the case, including Basic, Pro and Gaming variants, but all the parts are interchangeable and you can experiment with different configurations to see which suits you best. It supports a standard ATX-sized PSU, but only up to micro-ATX motherboards, so there are still some limitations to the compact design. 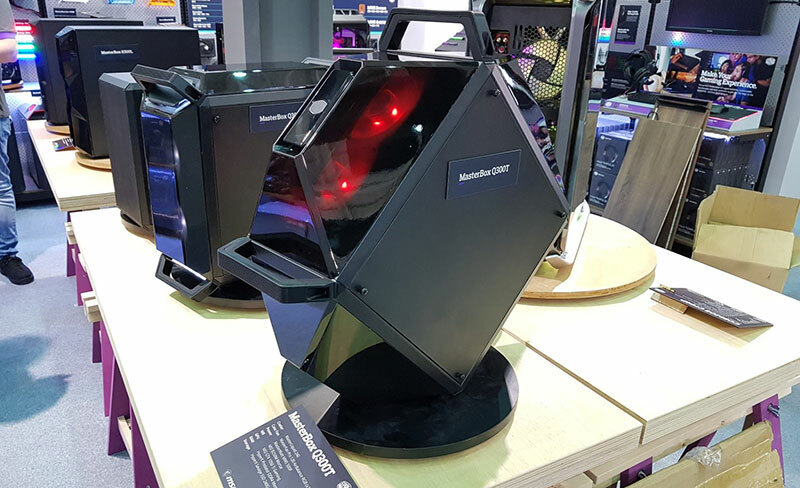 Click here for more on COMPUTEX 2017, or here for on Cooler Master.